The 6550 Folding Portable Wheelchair Scale is designed with built-in low angle ramps for entering and exiting the scale. Heavy-duty wheels and handles, together with the fold up feature and battery power, make this scale attractive when portability and limited storage space are factors. The upgraded version has a vertical fold-up storage and a large 32" x 36" platform, with a clinical-grade accuracy to 0.2 lb / 0.1 kg. 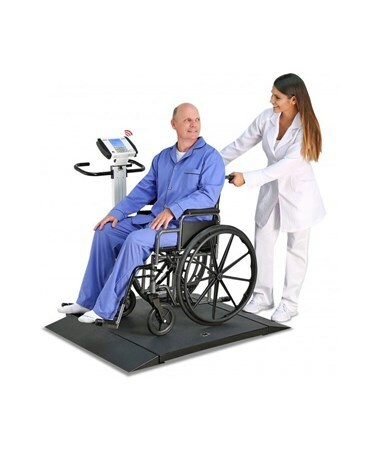 The 6550 Folding Portable Wheelchair Scale has a high weight capacity of 1000 lbs and can subtract the tare weight (weight of empty wheelchair), for easy weight recording. 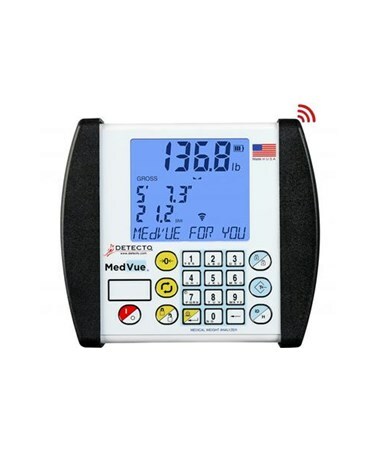 This model is equipped with the all new MedVue Medical Weight Analyzer display. The compact, lightweight analyzer mounts easily with a 350-degree swivel mounting bracket for optimal viewing. Its soft alphanumeric keyboard and simple navigation allow for data input and updates in four different languages - English, Spanish, French, German. 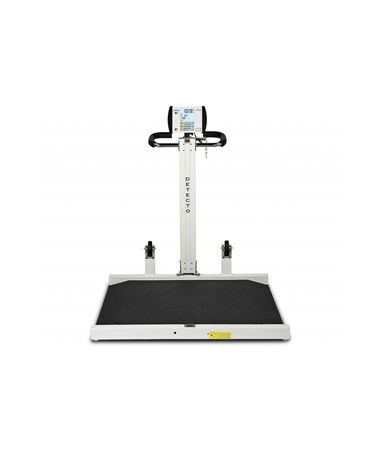 Please view additional accessories for this scale by selecting the Related Products tab. Easy Transport Unit may be lifted and stored or transported in an upright position. 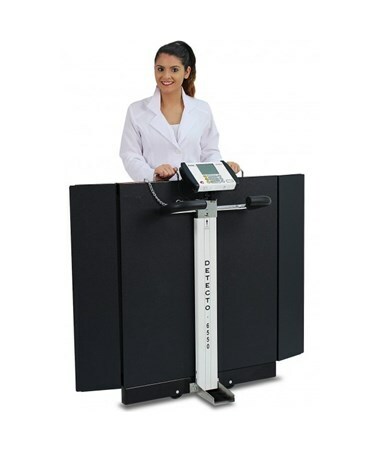 Highly accurate, EMR-ready digital weight display with Body Mass Index calculation and easy-to-read LCD display. 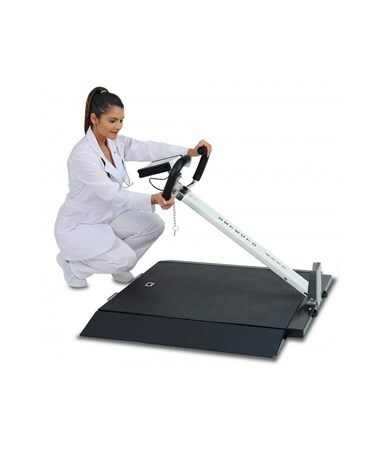 Large, easily-accessed weighing platform and low angle ramps make the 6500 ideal for patient security. Skid-proof and soft, but durable, black rubber mat for patient ease and comfort. Lightweight design, battery power, wheels, and carrying handles make it ultra-portable for convenient patient weighing wherever needed. MedVue Medical Weight Analyzer display.